Sounds promising, right? I agree. This is a big, beautiful book, and I loved it. What it’s about: This is a story based on the author’s own family history, and it is obvious that a lot of research went into this novel. The story takes place in Europe during the Second World War. The main character, Andras, is a young Jewish man from Hungary who goes to Paris in 1938 to study architecture. There he meets, and falls in love with, Klara. The events that take place next, and for the rest of the book, are fueled by the war. Everyone’s lives become very different from what they had imagined them to be. The story takes us back to Hungary and what it is like there for Jewish citizens, and specifically, the family we have come to know. Although there are many sad parts in this book (how can there not be in a book about the Holocaust), there are also many happy times. Despite the war, the families continue to live and love and plan for the future. 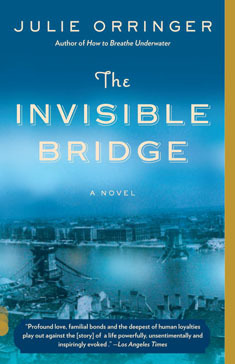 I recommend this book to anyone, but especially to those of you who enjoy learning about WWII through historical fiction. There are many books out there that take place during WWII, some good, some bad, but this is one of the good ones. It stayed with me for a long time. It sounds wonderful! And what a great idea, to base a collection of stories on one’s family history. The fact that it’s based on true events makes me appreciate it even more!